XLink/Win is IMSL Software's data backup program for electronic organizers, available in a downloadable demo version from this site. It supports a wide range of Sharp YO/ZQ/EL/OZ/TM organizers - including the YO-150/170/470 series, the YO-180/EL-6x90 series (YO-180/190/195/480, ZQ-160/165/180/190/195/480/485, EL-6790/6890/6895), and the YO-270 series (YO-270/290, ZQ-270/290, EL-6990). It also supports all the Casio electronic diary models, allowing you to exchange data between Casio and Sharp models. XLink/Win is the only program which can translate memory backups from the Sharp organizers on-the-fly, allowing you to back up all of your data at once instead of one data type at a time. XLink/Win allows you to exchange your organizer data with any other Windows programs, and to link directly to existing PC databases. XLink/Win is available in 16-bit and 32-bit versions: 16-bit version for compact program size and broadest system compatibility, 32-bit version to support the latest 32-bit database formats. XLink/Win runs on OS/2 and on Windows emulators for Mac and Unix. IMPORTANT NOTE: Sharp uses many different serial interfaces on their organizers. Currently XLink/Win supports the the 4-pin slot serial port or the 2.5mm round port on the side of the newer Sharp YO/ZQ/EL/TM organizer models, and the 3.5mm round port on the newer OZ models (see Compatibility below for more information). For the 4-pin slot serial port you will need the CE-139T or equivalent cable for Windows (included in the Sharp CE-490W and CE-491W packages). The older Sharp CE-136T serial cable (included in the CE-390 package) is designed for DOS only will not work because of timing problems with Windows. IMSL Software does not sell these cables. Unfortunately they are now difficult to find and expensive. The R-Lynx YO Cable from www.mobilemania.com is compatible, but they are now asking $100 for it. Former suppliers http://underwooddistributing.com/Sharp/sharpyooz.html and http://www.accessorall.com/cgi-bin/cart.pl?db%7CSHP.dat%7CSHARPLINKS appear to be permanently out of stock. Don't have a serial port? Sharp is a registered trademark of Sharp Electronics Corporation. XLink/Win version 2.84 has been released for all users (see What's new in 2.84). This latest update is primarily for users of the Sharp OZ/ZQ Wizard models, particularly those supporting the User File data type. XLink/Win version 2.8 has been released (see What's new in 2.8). This is a minor update, intended primarily to make the program more Vista-friendly. The default application folders are changed to comply with the Microsoft standards which are more rigorously enforced in Vista, and certain internal functions which caused unnecessary warnings from Vista's User Access Control have been altered to avoid the problem. In addition there are some new functions for more convenient import and export of files, and support for Microsoft Outlook format. XLink/Win version 2.8 has also been tested with the final version of Windows 7 which Microsoft has released to manufacturing, and there are no known compatibility problems. Version 2.7b of XLink/Win got a few very minor internal bug fixes, primary fixing a sync bug on for the EL-6990, YO/ZQ-270, and YO/ZQ-290. The software posted on the web site has been updated, but the version number remains the same. A new version 2.7b of XLink/Win has been released which adds some minor new features and fixes some bugs in 2.7a. A new version 2.7a of XLink/Win has been released which adds support for the Sharp EL-6990, YO-270 (ZQ-270) and YO-290 (ZQ-290) organizer models. (Note that the OZ-290 or ZQ-290 Mark II model is not the same as the YO/ZQ-290 model - although they appear similar, they use a different communication protocol.) This version of XLink/Win also adds new support for reading fragmented memory backups from the EL-6790/6890, YO/ZQ-180/190/195/480/485, and YO/ZQ-150/170/470 models, and corrects a problem with the RLynx-YO cable. XLink/Win 2.6a is now available for download. It includes some minor new features, and several model-specific updates for Sharp organizers, and support for several neworganizer models. It is available in English and Portugese. New German and Slovak versions should be available before the end of the year. The new YO-270 model from Sharp appears to be a successor to the YO-180 and YO-190. Unfortunately it uses yet another new Sharp communications protocol, different from all previous models. It is not yet supported by XLink/Win. Our backup kits with the CE-139T cable for the older Sharp YO/ZQ/EL models are out of stock. We do not plan to stock these cables any more. Try www.mobilemania.com, direct link R-Lynx YO cable $29.99. EL-6890 cable $5.95: Cable and basic backup software for the EL-6890 for just a $5.95 shipping and handling fee if you live in the USA. The cable and backup software will work with other compatible models such as the EL-67xx, YO/ZQ-180/190 and YO/ZQ-480 models. You must provide your EL-6890 serial number when you place your order, but who knows if they actually check it? Go to https://www.mobile-mall.com/mobilemall/el6890/ to place an order and download the basic backup software - then get yourself a copy of XLink/Win! Sharp YO-190 256KB Electronic Organizer with basic PC Link software, cable and leather slip case, $29.99. Not a bad buy, since it's the same price as the EL-6890P and the YO-190 is a better model. See http://www.mobile-mania.com/mobilemania/ctl.asp?ct=1100-2&promo=P9210DV&product=B-YO-190+CASE. (enter promotion code P9210DV during checkout). You can get XLink/Win to enhance the basic PC Link software. (enter promotion code P1337DA during checkout). This cable can be used with the OZ-700/730/750/770 models and is compatible with XLink/Win software. Most OZ-7xx models come with this cable included, but if you don't have one for some reason, it's worth ordering at this price because the special connector is hard to make. Mobile Mania is also offering a $14.99 promotion on the TM-20 cable, but they fail to mention that this is the same cable as the EL-67xx68xx/YO-180 cable which they are selling for $9.99 regular price (or for just a $5.95 shipping fee for the EL-6890 above). They also offer the Aegis YO 4-pin cable (CE-139T) for $49.99 without software, but you can buy this cable through IMSL Software for $49 with XLink/Win software and shipping included. Sharp in Canada has extended their rebate offer on the following organizers purchased between March 1, 2000 and December 31, 2000: Better hurry if you just bought one! Visit www.sharp.ca for details and downloadable coupon. Take the rebate and register your copy of XLink/Win! Release 2.5d of XLink/Win is now available with support for the Sharp OZ protocol. It was developed for the OZ-7xx series, and it also works with other recent OZ models in the OZ-5xx and OZ-6xx series and the TM-20 TeleMail unit. It may work with some earlier OZ models as well, but this has not been tested. The EL-6895 is compatible with the EL-6790, but has more memory. It uses the same cable and communications protocol. It is supported by the current version of XLink/Win if you set the model number to EL-6790. The YO-520 appears similar to the YO-480, but has more memory. It uses the same 2.5mm cable as the YO-180/480 models, but has a new and different synch communications protocol which is not yet supported by XLink/Win. The YO-540 is a version of the YO-520 with more memory. The OZ-770 is compatible with the other OZ-700 series models, but has more memory (3 Mbytes) and a new "green-silver" color. It is supported by XLink/Win 2.5d and up. A new Message Board has been set up with sections on Sharp organizers and accessories, and on using XLink/Win software with Sharp organizers. There's even a For Sale/Wanted section for those who want to buy or sell Sharp organizers and accessories. The message board is open for message posting by anyone. It is preferable to post technical support questions to the message board if they are of general interest. Of course we will still answer technical support questions by email. Read the News and Announcements section for more information on the message board. A new version 2.5 of XLink/Win has been released, with some new features and some minor bug fixes for recent Sharp models. Available in 16-bit and 32-bit versions, English or Portuguese. Go to Download. For those who use XLink/Win, an update is available to support the new Sharp YO-180/480, ZQ-160/165/480/485, and EL-6790 models which use the new 2.5mm-plug serial cable. The lowest-cost model available is the EL-6790B, which comes without the serial cable. You can build your own cable for this model - request free instructions from IMSL Software. A new product called XLink/Win which supports both Casio diaries and Sharp YO/ZQ/EL/OZ organizers (including the new YO-150/170/470 models) is now available. It is based on our CASIF/Win product for Casio diaries. Please contact IMSL Software if you want to try it. Important note: you will need the new smart serial cable designed by Aegis Technologies - older DOS cables for these Sharp models will not work with Windows. Windows Link V2.1 for Sharp Organizers is now shipping with the new Sharp communications software licensed from IMSL Software. Anyone who was waiting for Sharp/Rupp's delayed CE-490W package will find Windows Link a superior product. See Windows Link web site. XLink/Win is available as shareware from this site. It supports most of the YO/ZQ/EL models (see Compatibility). Sharp packages a simple data backup utility program in many of their organizer kits along with the serial cable. This utility is intended for basic backup/restore only, and cannot exchange data with other PC programs. Sharp intends you to buy a software upgrade if you want to do more. Each version of the backup utility is specific to the organizer model it ships with. XLink/Win shareware is a good upgrade option in this case if your model is supported. Rupp Software (www.ruppsoft.com) has been in the business of making backup software and cables for Sharp organizers for a long time. Their main product is the program RuppLynx, which is available in many versions to support all of the different Sharp models. Sharp depends on them as the supplier of most of the Sharp backup kits such as the CE-390 and CE-491W. At one time Intellilink supported many different brands of electronic organizers including Sharp, but since the parent company Puma became part of the Palm group they have focussed exclusively on the Palm PDAs and no longer update this product. A version of Intellisync is still available for some OZ models (http://www.pumatech.com/intellisync_shrpoz.html). Yellow Computing of Germany makes several versions of their data backup program Transfile for personal organizers, including one for the Sharp YO/ZQ models (www.yellow.de). They also have a separate program Organizer Link 4 Sync for synchronizing data with some of the OZ/ZQ models. Sharp uses strange proprietary serial connectors and changes them frequently in order to monopolize the after-sale market for backup kits. Most Sharp electronic organizers have one of the 7 different serial interfaces listed below. The only one you can build yourself is the cable with the 2.5mm round connector used by the YO/ZQ-180 and EL-6790 family. The only other one you can buy from an alternative source is the cable with the 4-pin slot connector used by a large group of YO/ZQ/EL/OZ models. If you have one of the inexpensive EL-6790B packages without the PC serial cable or software, you can download XLink/Win and make your own 2.5mm cable. Ask IMSL Software for free instructions. For the 4-pin slot serial port you will need the Sharp CE-139T or equivalent cable for Windows (included in the Sharp CE-490W and CE-491W packages). The older Sharp CE-136T serial cable (included in the CE-390 package) is designed for DOS only will not work because of timing problems with Windows. IMSL Software no longer sells these cables. Unfortunately they are now difficult to find and expensive. The R-Lynx YO Cable from www.mobilemania.com is compatible, but they are now asking $100 for it. Former suppliers http://underwooddistributing.com/Sharp/sharpyooz.html and http://www.accessorall.com/cgi-bin/cart.pl?db%7CSHP.dat%7CSHARPLINKS appear to be permanently out of stock NOTE: you cannot build this cable yourself - it uses a custom microcontroller. This is a partial list of the serial interfaces provided on Sharp electronic organizers over the past decade. This is the serial interface used by most of the YO/ZQ/EL models. It is also supported by some OZ and IQ models via a secondary port or an adaptor cable. This interface is supported by XLink/Win with the Sharp CE-139T cable, which is also included in the CE-490W or CE-491W package. Other equivalents are the Windows Link cable which comes with the Windows Link software package, or the R-Lynx YO cable from http://www.mobilemania.com. The older cables such as the Sharp CE-136T in the CE-390/390B package will work only with DOS software because Windows does not allow accurate enough timing to work with the Sharp organizer interface. The newer cable has a microcontroller in it to control the timing independent of Windows. The CE-139T cable should work with any organizer which has the 4-pin "Option Port" on the side, but it is apparently incompatible with the OZ/ZQ-570/630/640/650 models which require the CE-60K docking station. 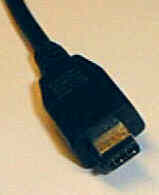 This interface is used by newer models such as the YO-180, ZQ-480, EL-6790, and TM-20 which include a Sharp serial cable. It is supported by XLink/Win with the original Sharp cable, or you can build your own cable. This interface, found on some Wizard OZ-5xx/6xx and equivalent ZQ models, is used with the CE-60K or CE-61K docking cradle. It is supported by XLink/Win. This interface is used by older IQ models and by Wizard models such as the OZ-5500. It requires a compatible 15-pin adaptor such as the CE-133T, and compatible software such as the Sharp CE-690W package. It is not supported by XLink/Win. You can find information on how to build this cable yourself under Links, although you might not be able to find the custom connector anywhere now. An IrDA infrared interface is present on some Wizard and Zaurus models, in addition to the cable port. It is supported by software such as IntelliSync or RuppLynx. It is not supported by XLink/Win. Used by the older ZQ models such as the ZQ-1200. A 4-pin to 3-pin adaptor cable is available to allow these models to communicate with the later 4-pin YO/ZQ models. The new OZ-700-series models use a new type of round 3.5mm 4-contact serial connector on the side which is unique to these Sharp models and incompatible with all other connectors. It is supported by the latest version of XLink/Win. Since the web site ozdev.com appears to be defunct, I have copied their original web page with the OZ-700 cable schematic to this site. Sharp has made a lot of electronic organizers over the past 15 years, and there are too many models to list them all, but here's a basic compatibility guide. Sharp uses different names and model numbers for the same organizer model sold in different regions. The equivalent model numbers for each region are listed in the table below, along with the software and cable compatibility. The first Sharp Wizard electronic organizers were the IQ series, originally released in the mid-1980s. They generally use the 15-pin serial connector. Sharp still uses the Wizard name, but it now applies to a newer series of high end organizer models with OZ model numbers. The new OZ series have different serial connectors. XLink/Win partly supports the data format of most of these models, but not the serial interfaces of the older OZ models. Sharp's less expensive mid-range electronic organizers have model numbers beginning with YO or ZQ. Sharp uses YO in some countries and ZQ in others (why? who knows?). Generally the corresponding YO and ZQ model are identical or very similar. Often the ZQ model number has an extra 0 on the end. Most of these models use a 4-pin slot serial connector on the side, but not all of them. XLink/Win supports the models which use the 4-pin slot interface. Sharp's least expensive organizers are the EL series. The original EL-66xx models use the same 4-pin slot connector as the YO/ZQ models. The newer EL-67xx models use the same 2.5mm round serial connector as the YO-180 family. XLink/Win supports both types of EL models. Sharp's Zaurus models (ZR-xxxx) are high-end keyboard PDAs which can use either the 15-pin serial connector or an infrared port. They are not supported by XLink/Win. The following Compatibility table does not cover every Sharp model. Sharp uses different model numbers in different countries for models which differ only slightly (if at all). In general models labelled YO or OZ in the USA are labelled ZQ in the rest of the world, but the model numbers are not always the same. If your model number isn't mentioned here, look for the model numbers which are closest to it. In general the ZQ models which share the same last 2 digits are very similar. Caveat: The information in this table is not guaranteed to be complete or correct - Sharp has a huge number of models, and their published information on model and cable compatibility is often incomplete or conflicting between different sources. Here is a useful listing of Sharp cables, models and accessories for the Wizard IQ/OZ series: http://www.ralf-beckmann.de/ / (English translation via Google). The CE-133T and CE-134TP cables appear to be identical. They may differ only in packaging. 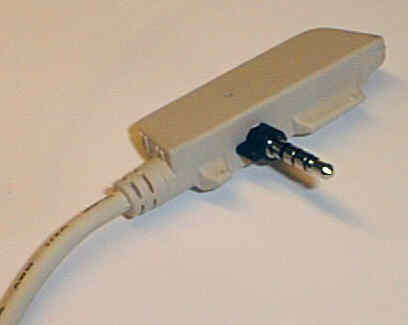 The CE-137T is an adapter for MAC serial cable to a CE-133T-type 15-pin interface. Note: Almost all of these links are now outdated, and are left here only for historical reference. Sharp USA changes their web site frequently, so direct links do not stay current very long. They tend to remove information which is not for current products, so it is often best to look for support information for older organizer models on Sharp web sites in other countries, such as Sharp Australia. Unfortunately the third-party site ozdev.com, which had extensive information for OZ application developers, also appears to be defunct. From Sharp World select the Sharp web site for your country or region for a list of authorized repair centres. In the USA and Canada you can call Sharp's toll-free Customer Service number 1-800-BE-SHARP. In Canada or the USA you can try Cal-Q-Tronics (Vancouver) for Sharp organizer repairs and data transfer assistance; email Andy Neggars at aneggers@netrover.com or Tel 604-524-4926. Yellow Computing also sells some types of Sharp organizer cables online.